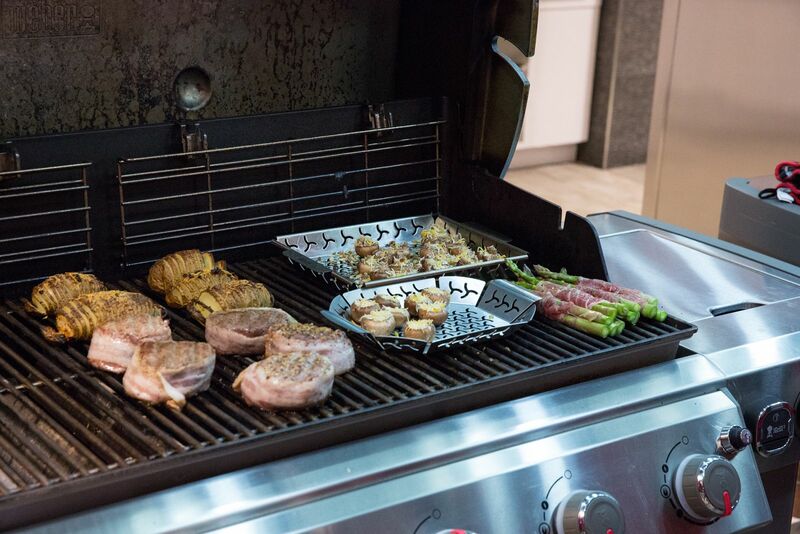 Show your Valentine some Weber love with an amazing grilled meal! We pulled together some of our favorite recipes for a meal so delicious you will fall in love all over again. On the menu for this Valentine’s Day is Filet Mignon with Hasselback Potatoes, Prosciutto-Wrapped Asparagus and Stuffed Mushrooms. 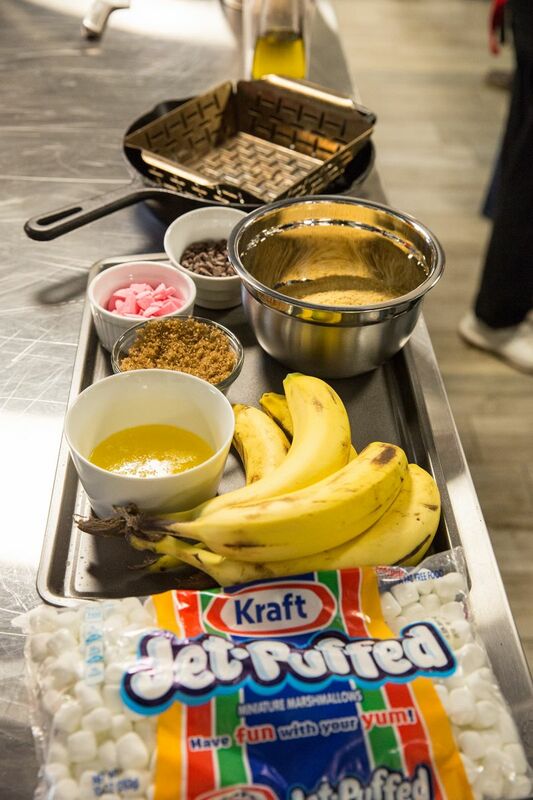 For dessert, our Grilled Banana S’mores are a sweet way to end the meal. 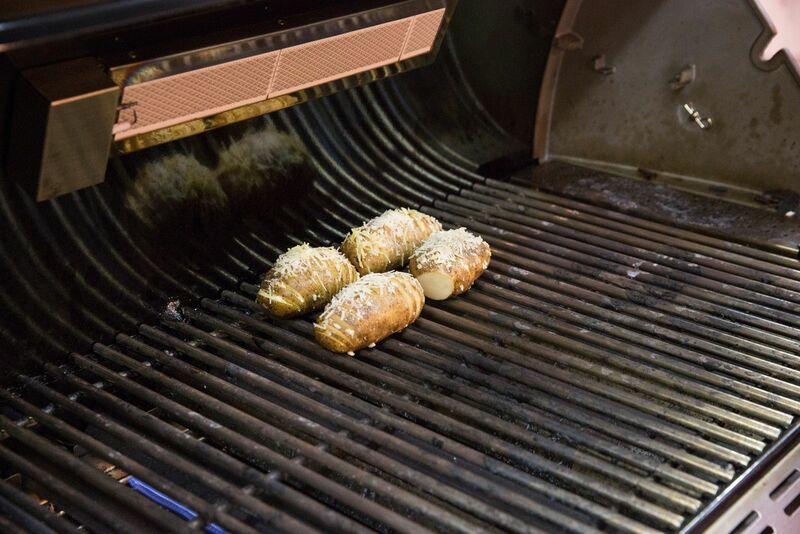 If you time everything right, it will all come off of the grill at the same time. The Hasselback Potatoes will take the longest to grill, so we recommend starting with those. 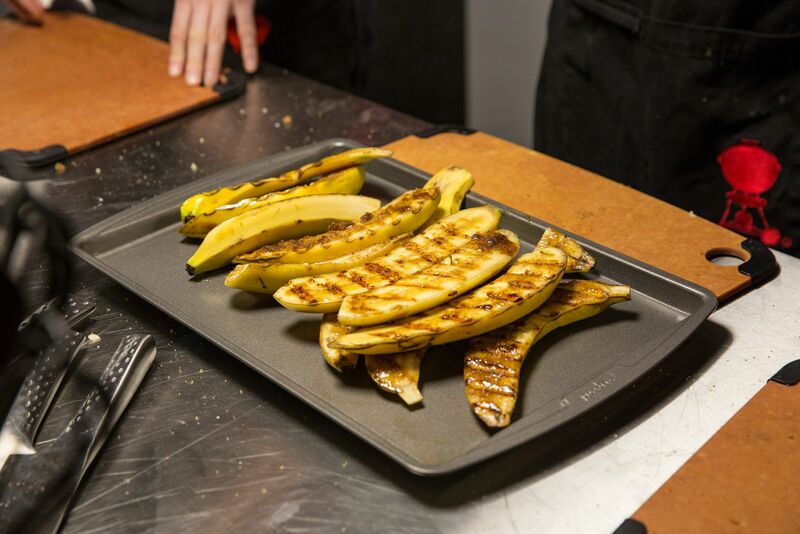 Make sure you get them on your grill before you start prepping everything else. To make sure you don’t cut all the way through the potatoes, a pair of chop sticks work really well as a stopper so that you don't cut all the way through your spuds. 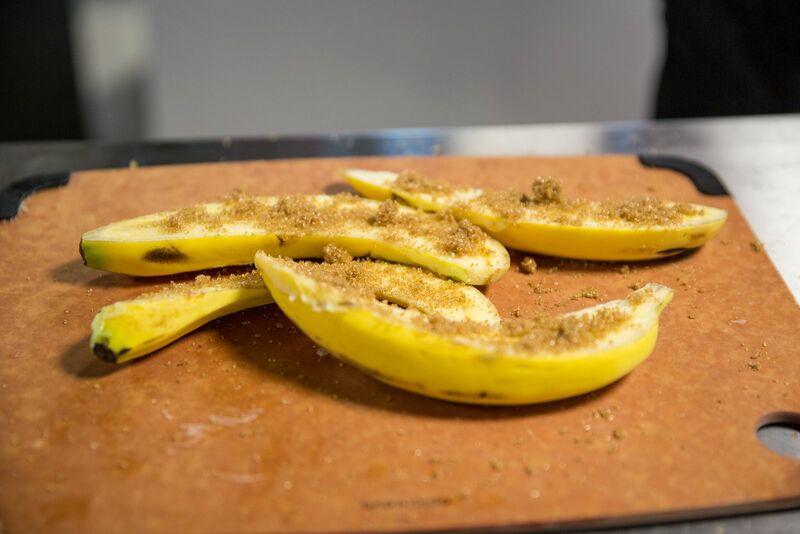 Prep the Banana S’mores next so that once you are finished with the main course you can pop this on the grill and get back to your date! 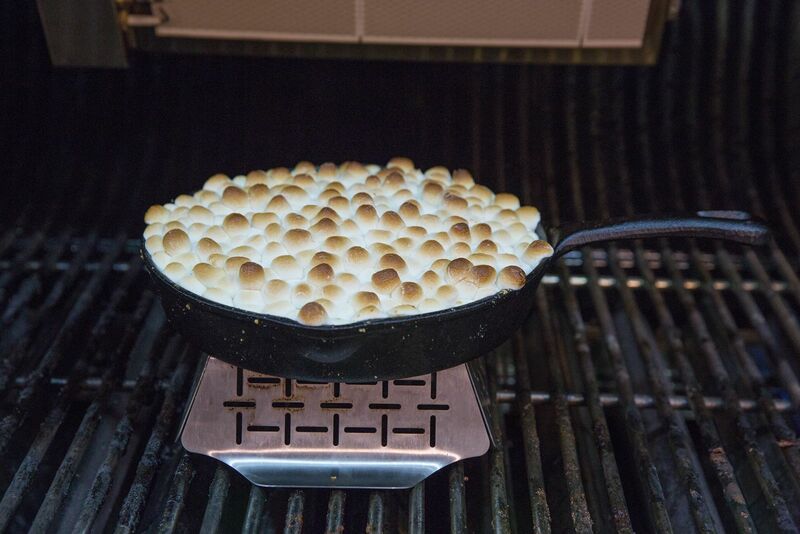 You can use a baking pan, cast-iron skillet or our Gourmet BBQ System Griddle works great for this recipe. 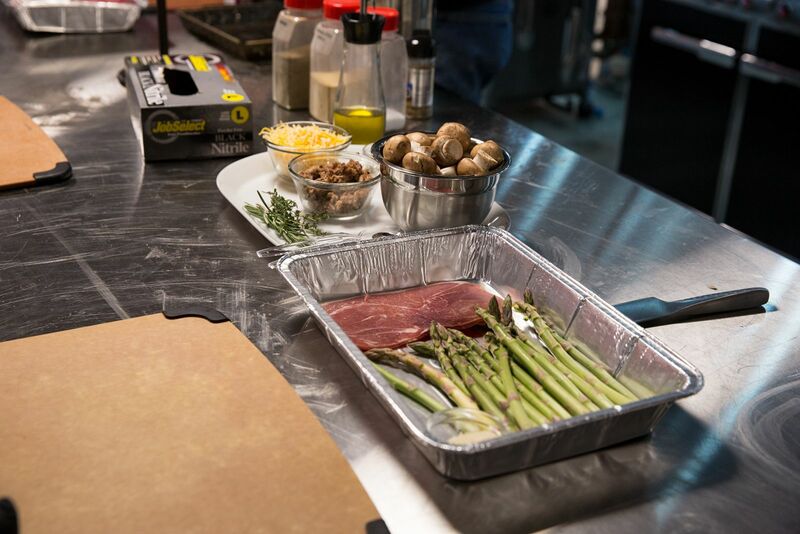 Next, get the Stuffed Mushrooms and Prosciutto-Wrapped Asparagus ready to go on the grill at the same time. 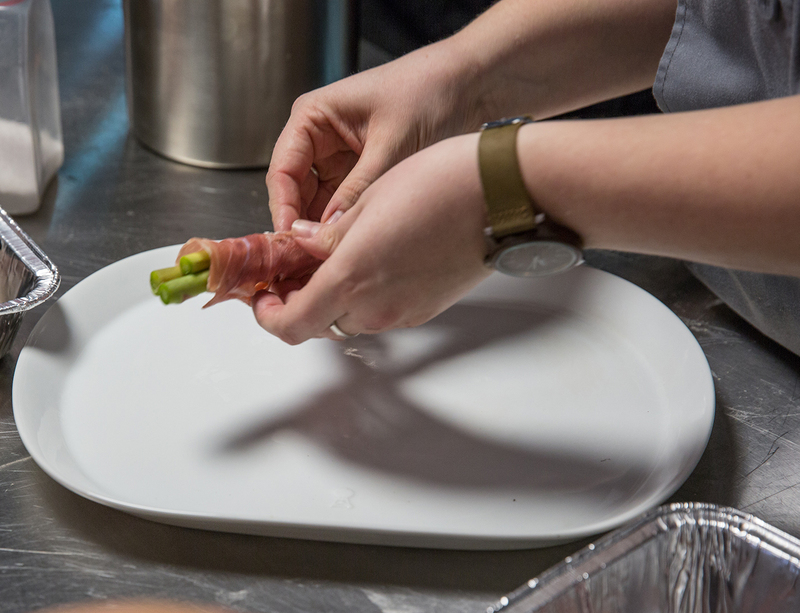 Make sure you are turning your asparagus every 3 minutes to grill the prosciutto evenly and prevent it from burning. Finally, prep your Filet. 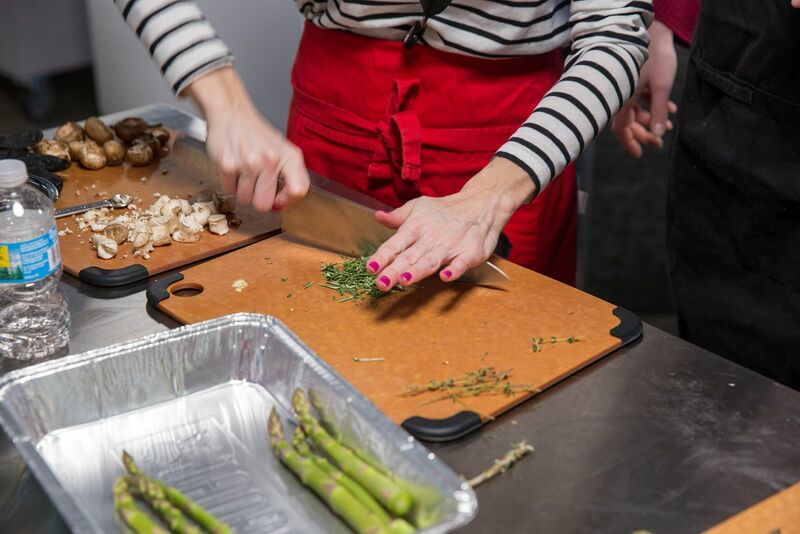 This recipe calls for plain asparagus but we think the prosciutto-wrapped adds that extra special flavor for your extra special someone. This Valentine’s Day skip the chocolate and roses and say “I love you” with this awesome meal! We would love to see pictures of your date night dinner! Share them with us on Facebook, Twitter and Instagram.